The national bird of Guatemala is one of the most magnificent birds in the entire world – the Resplendent Quetzal. Is there any bird more astoundingly jaw-dropping then the electric green, bright white, and scintillating scarlet Pharomachrus mocinno? I can neither think of a better bird nor imagine what a better bird could possibly look like. 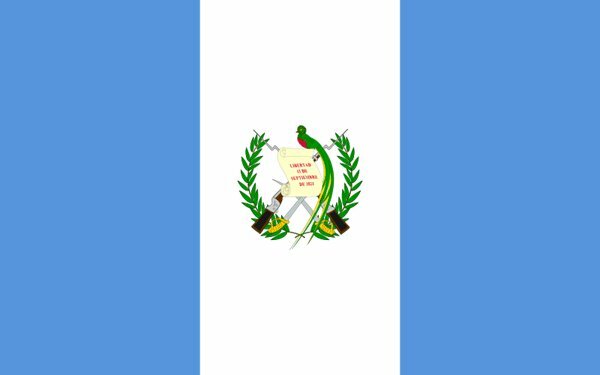 Guatemala chose wisely when they picked the bird that would be the avian symbol for the country, a bird that even appears on their coat of arms and national flag! 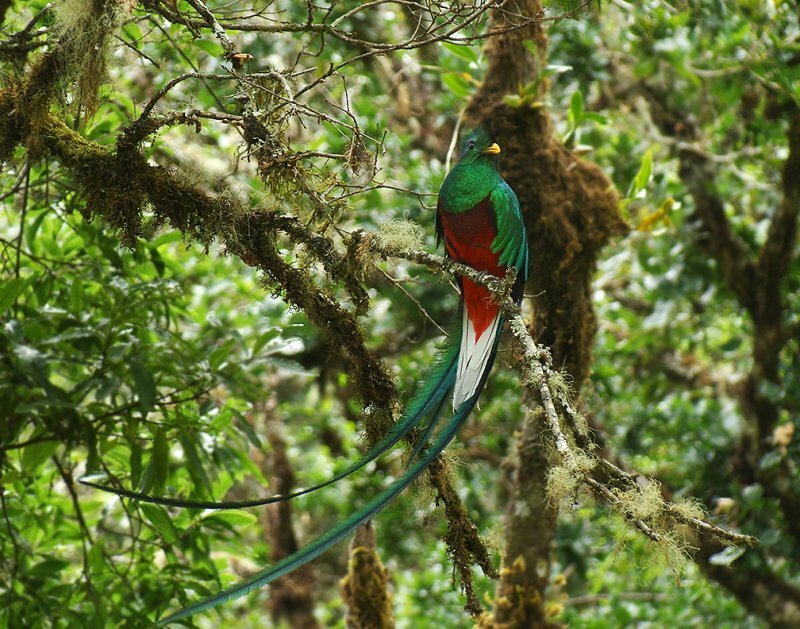 Besides the intrinsic beauty of the bird why else was the Resplendent Quetzal chosen as Guatemala’s national bird? Well, there is a long cultural connection between the indigenous people of Guatemala and the quetzal, and the bird was both revered and valued by the Mayans, with the extremely long tail feathers being especially precious. This helps explain why the Guatemalan currency is known as the quetzal. After reading that is it any wonder that the national bird of Guatemala is the Resplendent Quetzal? Roger Tory Peterson called the Resplendet Quetzal “The most spectacular bird in the New World” and I have seen no species that could make me question his judgement. The Guatemalan people apparently agree and therefore have one of the world’s most impressive birds to represent their country. *I actually found the quote here. This post was originally published on 22 April 2011. We hate to keep posts this good buried in the archives! What a beauty! Despite my many trips to Guatemala, I still haven’t seen this iconic bird. My last failure occurred on the contemptuously named El Quetzal Trail at Los Andes. Click for another awesome Resplendent Quetzal photo. That is ONE amazing bird. Beautiful! @Mike and Nicole: Aren’t you guys jealous of Christopher? I know I am! What an amazing bird, I hope I will be able to see it when I visit Guatemala this winter! Possibly the best national bird for any country and 100% appropriate. I see quetzals on a regular basis in Costa Rica (including the exact spot where Mike and photographed hummingbirds in October) but I would love to see one in Guatemala. The Quetzal is the bird I want to see most of all in the world. Years before I became interested in birds, I saw a stuffed Quetzal in a museum in Guatemala and learned one reason it was chosen as their national symbol was that it symbolized freedom… it dies if placed in a cage. The Aztec Emperor Moctezuma’s headdress, made of 400 Quetzal feathers (! ), was taken years ago to a museum in Vienna, and Mexico is still requesting its return to display at the National Museum of Anthropology, as it is considered a national treasure. In Mexico, people still dance a Quetzal Dance in Puebla and in Chiapas. I went to San Gerardo de Dota in Costa Rica to see Quetzals this January. The area provided me with beautiful views of this magnificent bird (male and female) on both mornings. He was so close at times, that his body and tail would not fit in my view finder! My best life bird so far!